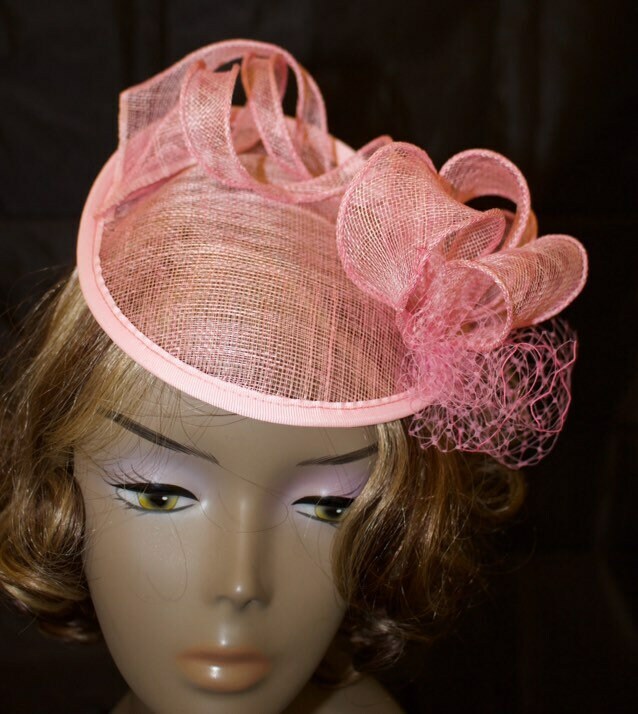 This simply stylish percher hatinator in blush pink dyed sinamay will make your entrance to any racing festival very notable. 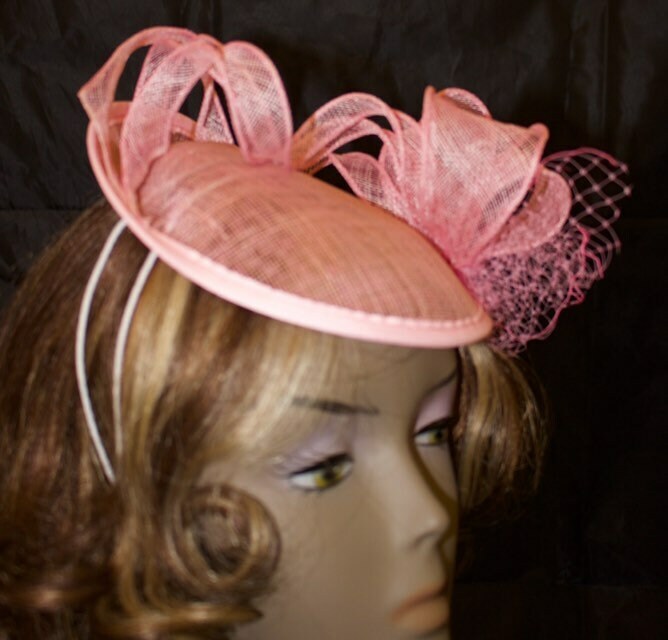 It is one size fascinator hat fixed on headband and perfectly fits any size. Sinamay that used for trimming have been hand dyed and hand rolled. 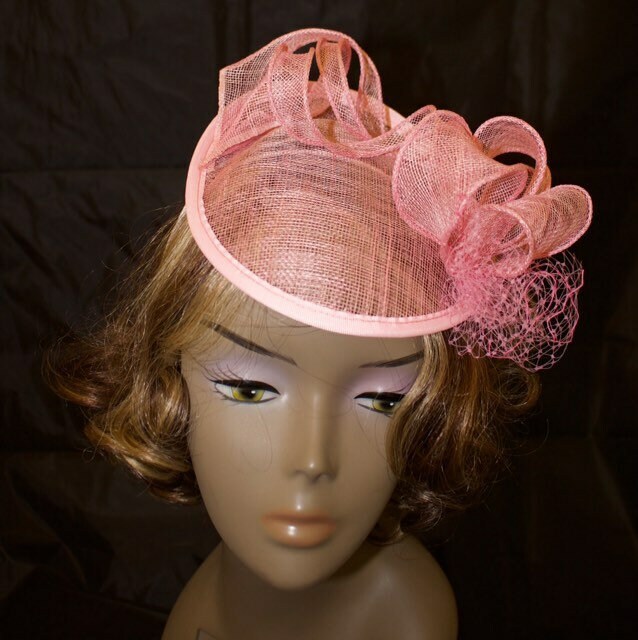 This stunning percher in blush pink is ready to ship immediately but you can ask for customization in color. 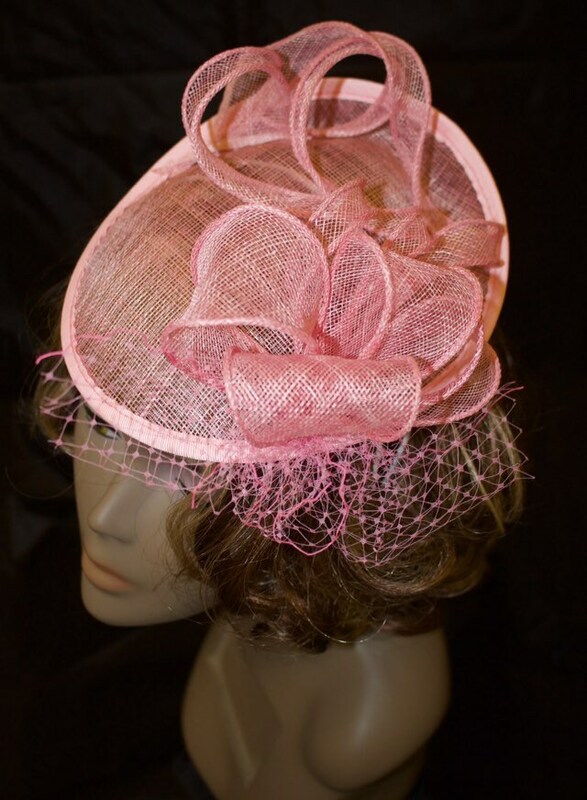 You also can send me a fabric swatch if you are making your own dress and want matching millinery. 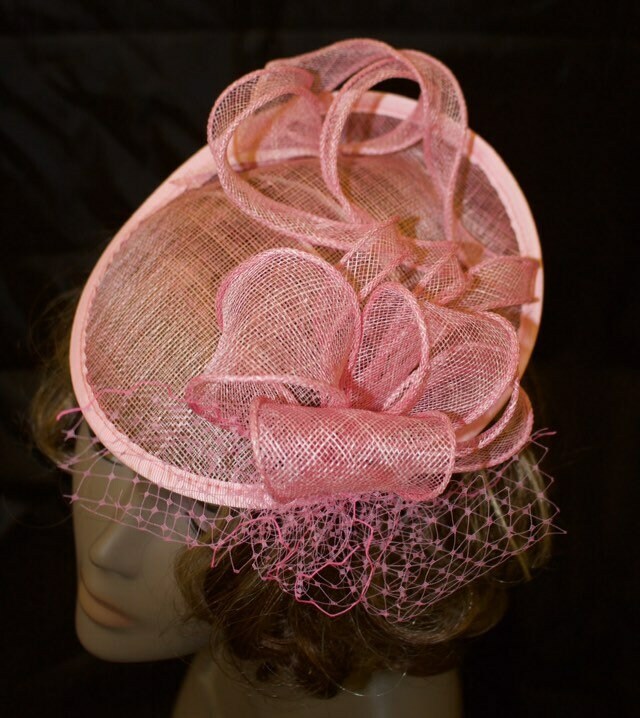 All millinery are send in hat boxes that can be used to store it. 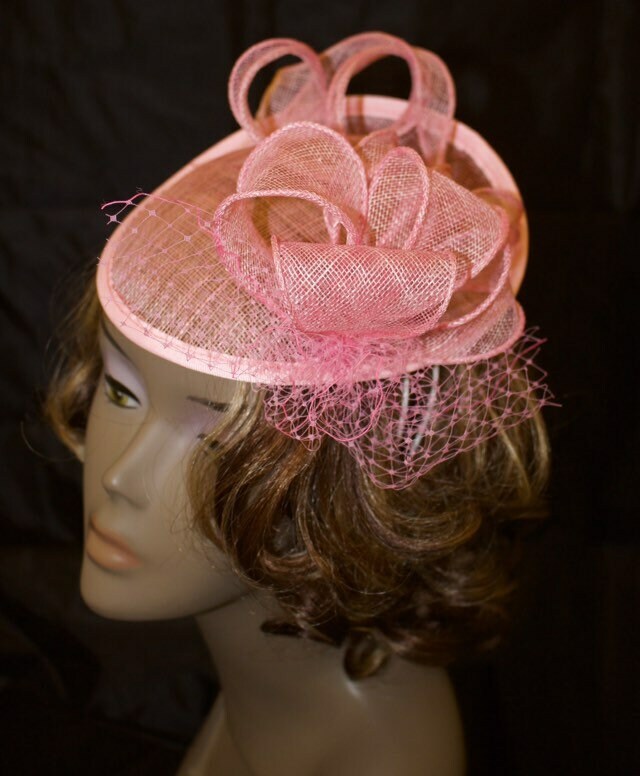 Please have a look on my other hats.